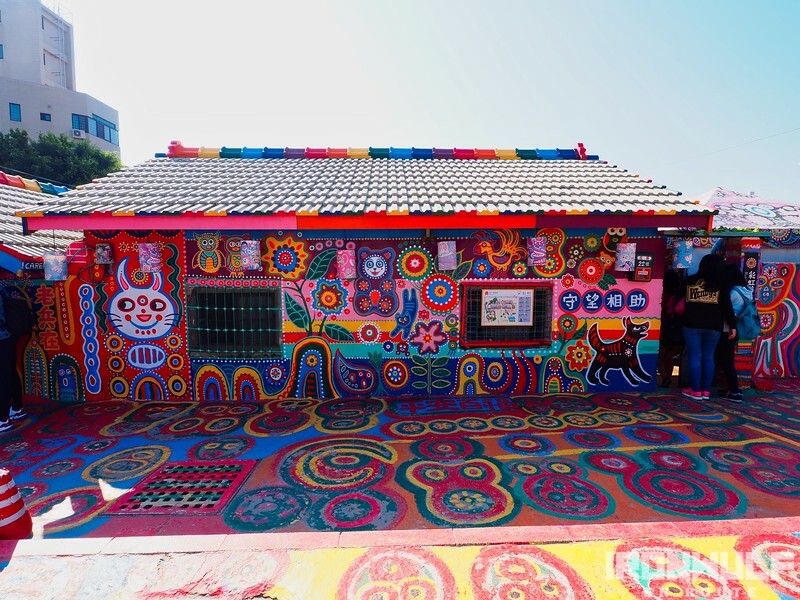 The Rainbow Village used to be a military housing that was set to be demolished back in 2008. 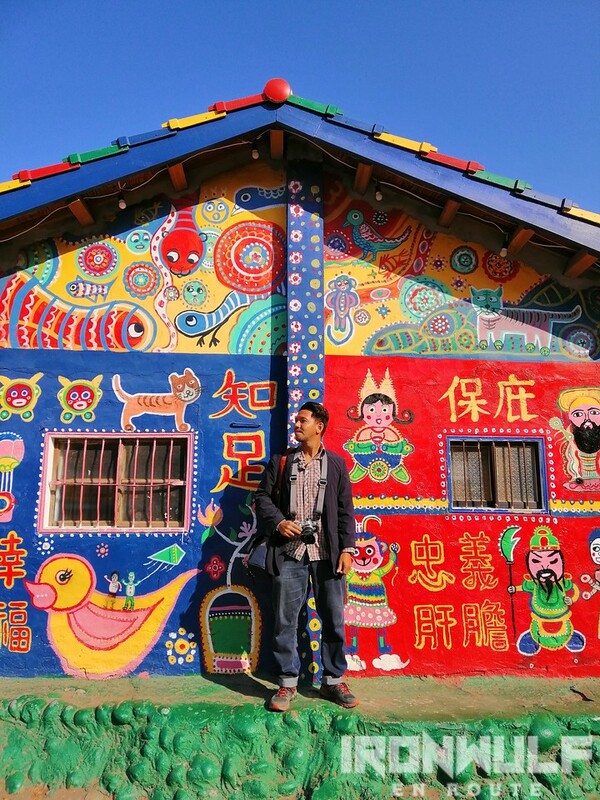 Until a retired soldier, named Huang Yung-Fu, started painting his house out of boredom since he was the only one left in the village. Huang lived in one of the many military settlements for KMT (Koumintang) soldiers who fled mainland China after the 1949 war to follow their leader Chiang Kai-shek. Some of these settlements became permanent residents. But with city development, part of these settlements were being acquired by developers. Huang refused to leave and stood still. 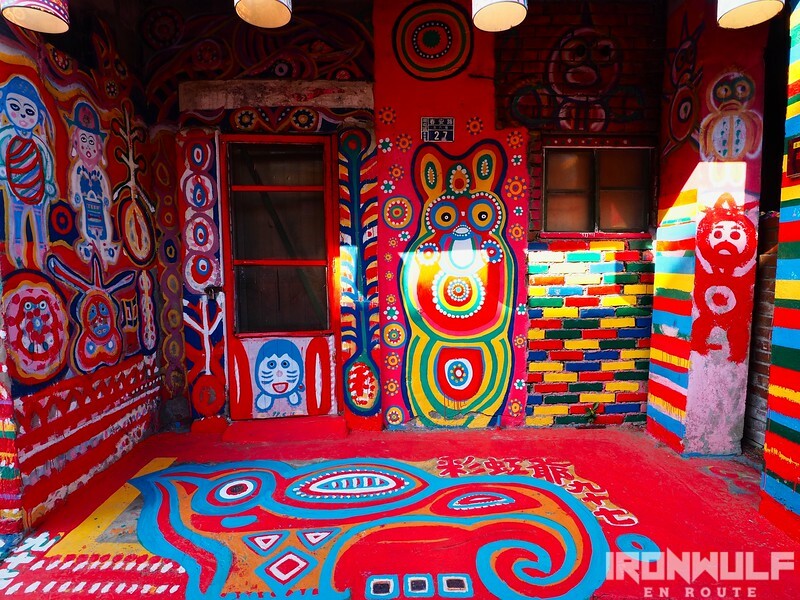 From a simple bird mural in his house, the artwork grew. 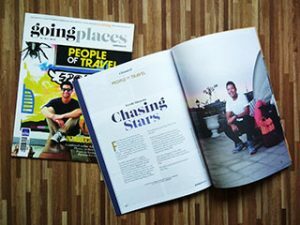 Taking inspiration from his dreams, the murals spread outside the house, the pavements and perimeter walls. 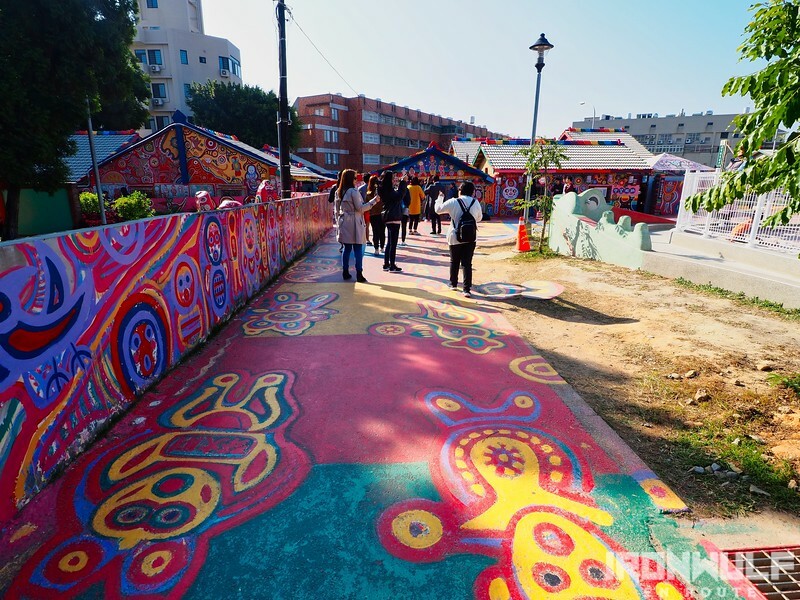 Local university students discovered his work and murals and the government plans to demolish the place. They sent a petition to save the place and in two days, more than 3,000 people showed support to preserve Huang’s work. 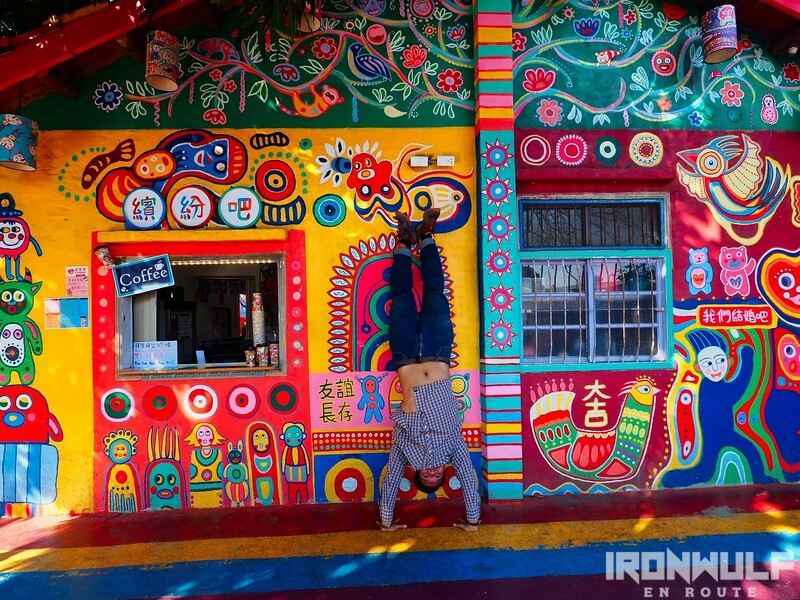 The government found value in his murals and declared the wall paintings have cultural importance. Since then, Huang was known as Granpa Rainbow. Grandpa Rainbow still lives at this day at the age of 96. If you’re lucky, like us, you can see him there either still painting or selling some of his prints. 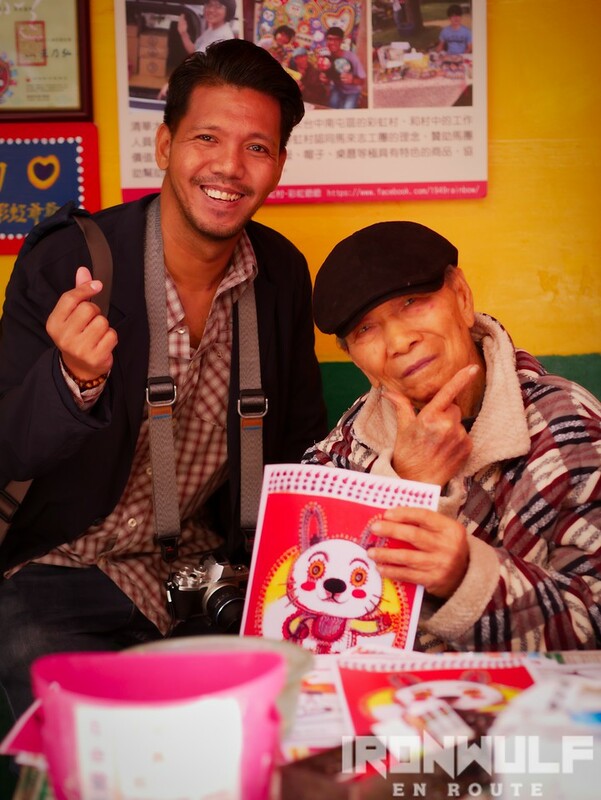 I managed to have a nice photo with him at the Rainbow Village. 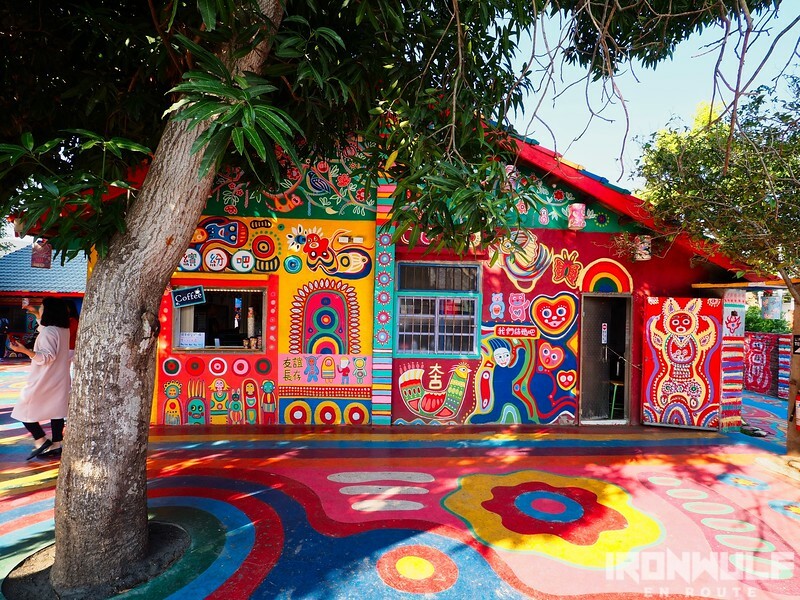 Rainbow village is just a small area but it is fascinating to roam around this place. It’s like stepping inside Grandpa Rainbow’s surreal dreams in real time. Meeting the myriad animated characters filling up the walls. If we had time and I could speak Chinese, I would ask Grandpa Rainbow on the story behind each of these characters. There’s a nice coffee shop on the side of the village. 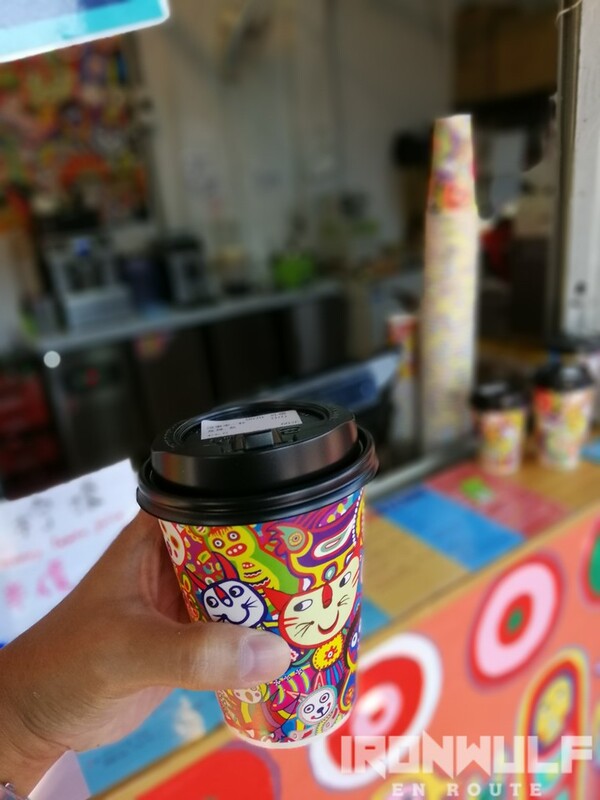 I got really amused with the design of the cup which incorporates Granda Rainbow’s artwork. The coffee was good. I enjoyed sipping my black coffee as I strolled around this little village. A man wearing an Ironman-mask garbed in a shirt and shorts splashed with a multitude of colors was strumming his guitar. 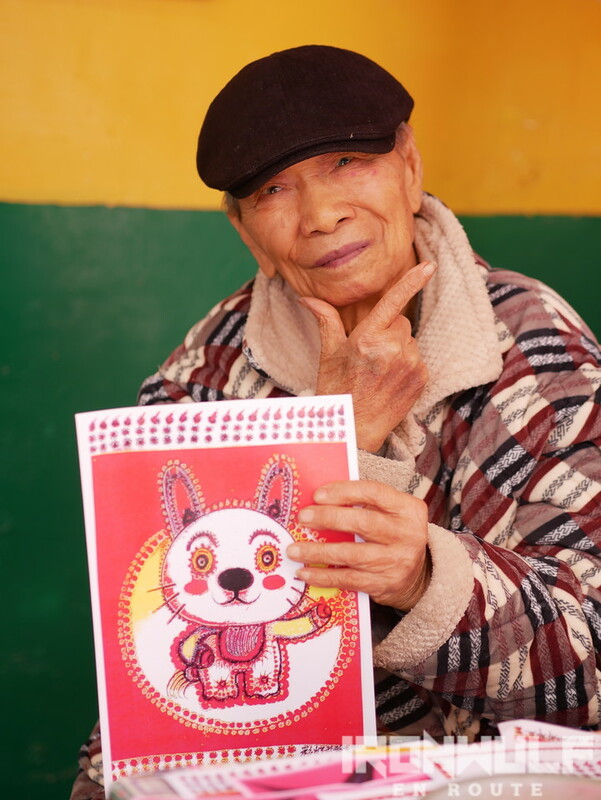 An iconic figure seen around Taiwan adding music to places. As we stepped out of Grandpa Rainbow’s dreamworld, the strumming faints and fades on air. 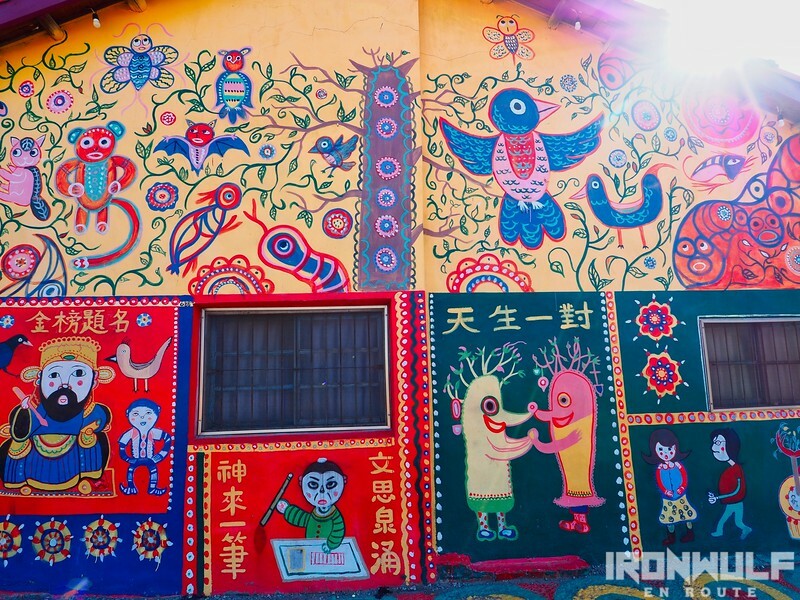 The Rainbow Village is in Nantun District in Taichung. There are several ways to go here. Uber: The most convenient and cheap. From Taipei, it would be a two hour drive. Fare is usually around NTD 300-500. Train + Bus: Take a High Speed Railway Train to Taichung HSR Station. You can take either an UBER or take bus #27 to Ling Tung University. From there, it’s a 10 minutes walk. 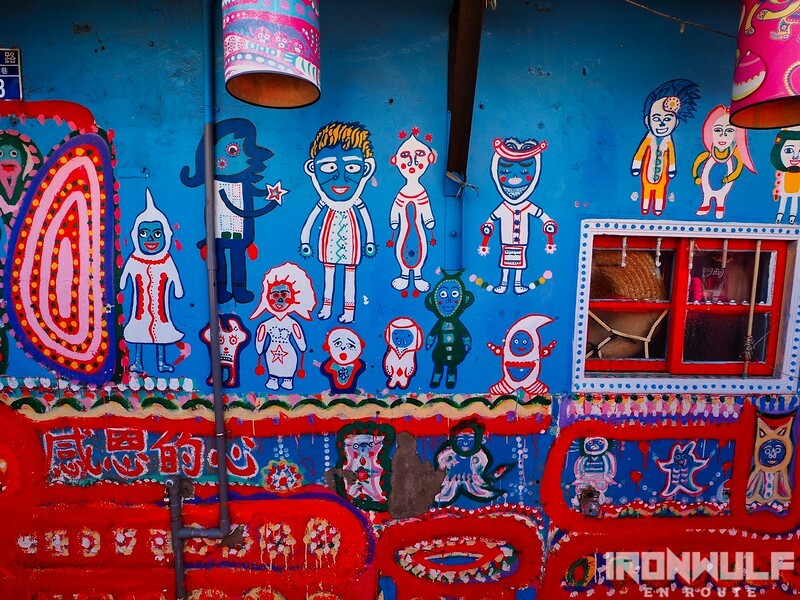 From the Xinwuri or Gancheng Train Stations, bus #56 passes directly to the Rainbow Village. 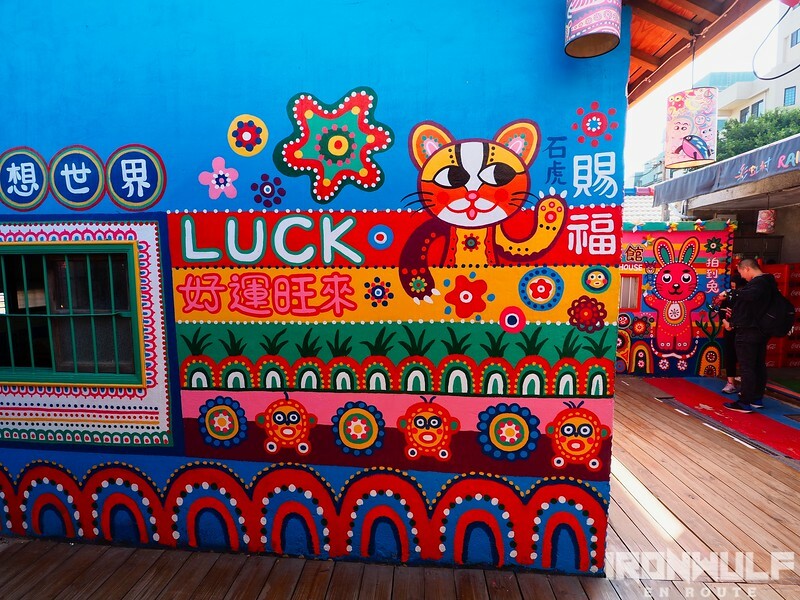 KKDay also offers a Half or Full Day tour of Rainbow Village and Gaomei Wetlands. 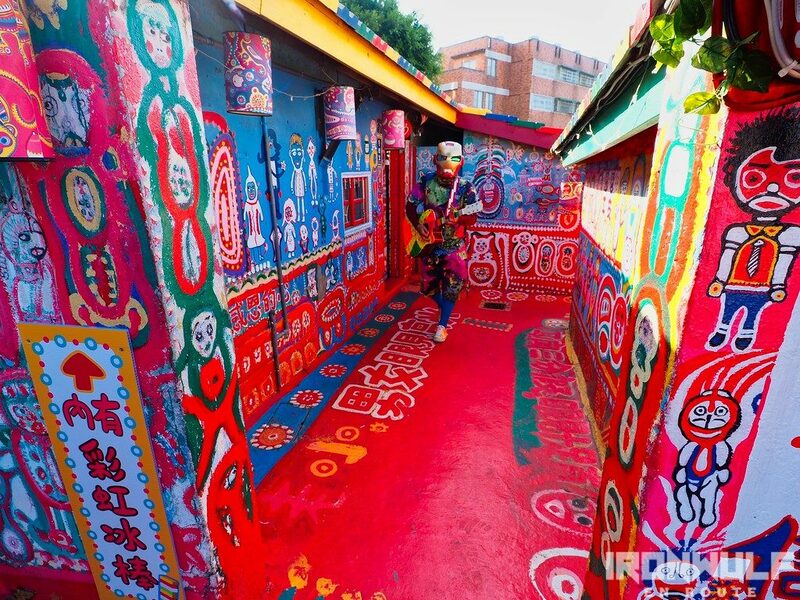 Book KKDay Rainbow Village and Gaomei Wetlands Tour from Taipei here.